Leonard Hall is the owner of a daguerreotype appearing to be that of John W. Mimms, Jr. Hall wants to put his image on the market and make it available for acquisition. Daguerreotype presumed to be of John W. Mimms Jr.
There’s a hitch, though. Mr. Hall’s preferred customer is a member of the Jesse James family or its related families. His backup choice is an historical institution that would make the image available to the public, or a collector of Jesse James-related or Western memorabilia. 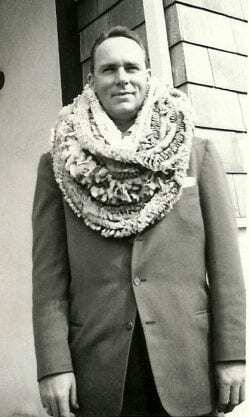 Who is John W. Mimms Jr.? John W. Mimms Jr. is the son of John Wilson Mimms Sr. and Mary James, making Junior a descendant of the James family, also. Mary James is the daughter of John M. James and Mary “Polly” Poor, grandparents of Frank and Jesse James, making Mary James and John Wilson Mimms Sr. an aunt and uncle of the James brothers, and making John W. Mimms Jr. their first cousin. Daguerreotype of John W. Mimms Jr. When John M. James and Mary “Polly” Poor died between 1826 and 1827 within months of one another, the couple left behind nine orphan children, ranging in age from a few months to Mary, who was the eldest at age seventeen. 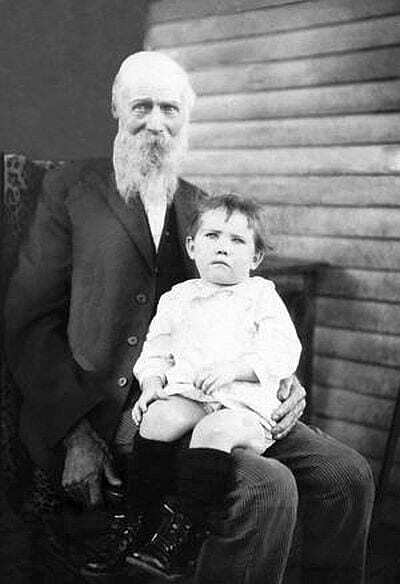 Among the orphan clan was Robert Sallee James, the father of Frank and Jesse James. Mary’s uncle is Drury Woodson Poor from her Poor ancestry on her mother’s side. He became the executor of the estate of John M. James. Within weeks, D. W. Poor immediately became guardian to Mary and her siblings. An immediate problem arose to confront Drury Woodson Poor. He had nine children of his own. Now, he was given charge of eight more. 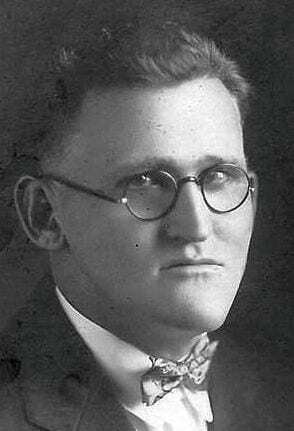 Besides, he had just launched his career as a Kentucky legislator and state representative from Logan County. Poor had the confidence of his community. Known as the “Lion of Whippoorwill Creek,” Poor had served Logan County as its sheriff before his election. 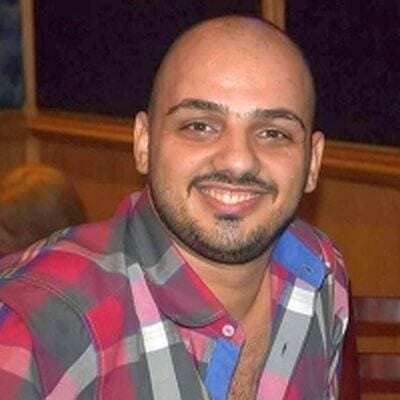 His judgement was respected. 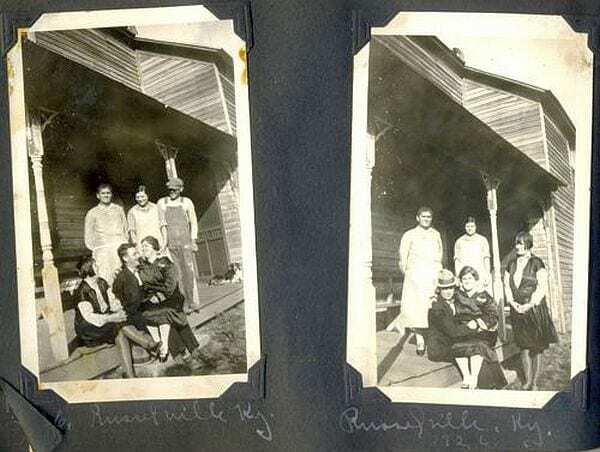 Poor’s resolution to his problem was to marry off Mary James, the eldest orphan, to John Wilson Mimms Sr.
For almost thirty years thereafter, John Wilson and Mary James Mimms operated a tobacco farm in Adairville in Logan County, Kentucky. After being ordained in the Missionary Baptist Church as a Methodist minister, Rev. 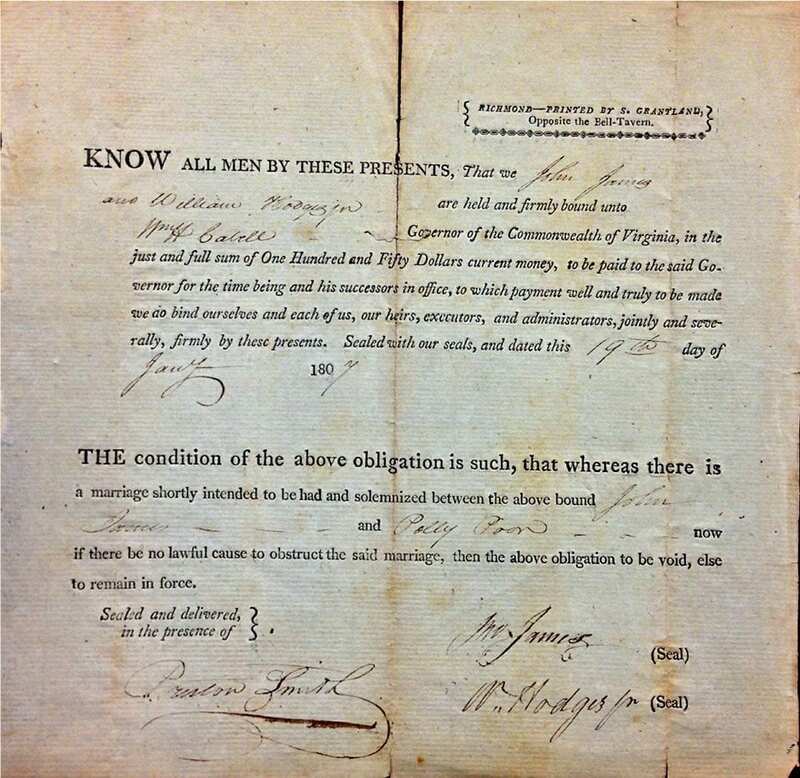 Mimms removed his family from Kentucky in 1856 to join Mary’s brother Thomas Martin James in Missouri. For the benefit of the orphan clan, D. W. Poor purchased the family Bible of John M. James and Mary “Polly” Poor and gave it to Mary James-Mimms. Before the Bible burned in a storage room fire, its’ genealogy entries were copied into the family Bible of Robert William Mimms. 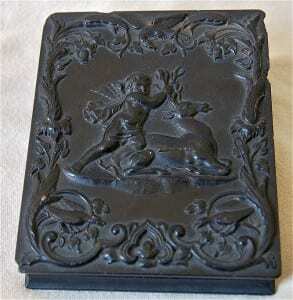 Ultimately this Bible was passed down to Ruth Ethyl Waers, a granddaughter of Robert William Mimms. Ruth married Col. Harold Burton Gibson. The Bible is presumed to have stayed in the Gibson family. History knows little about the life of John W. Mimms Jr. other than he was born in Logan County, Kentucky on July 14, 1831. He married Cornelia Dobbins on Dec. 22, 1859, in the company of his siblings Robert William and Lucy Frances Mimms. Then he died shortly after that in February of 1863. Since no photographic images exist of the closest family of John W. Mimms Jr., no forensic analysis can determine if the picture of him is scientifically authentic. The earliest known images of these James-Mimms descendants occurs among their grandchildren. 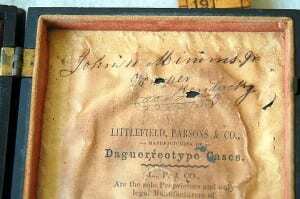 Also, since no authentic documents exist to show comparison evidence of the image or of the handwriting of John W. Mimms, Jr. to the signature in the daguerreotype case, the handwriting cannot be ascertained as authentic, either. Forensic analysis, however, should be able to verify the paper stock and ink as being in the period, or not. Some evidence of ownership or subject identification of “John W. Mimms Jr.” can be found in the inscription “H_ _per, Kentucky.” These two identifiers appear written on the case interior underneath the daguerreotype. The written name and location must be taken at face value. What can be authenticated in this artifact, in fact, is the town in Kentucky that is inscribed in the case, despite the evident appearance of puncture damage to the town’s name. The town is Hesper, Kentucky. This fact is little known except to historians of the Jesse James family and the James Preservation Trust. The identification is found in a letter from Lutie Mimms to Joan Malley-Beamis. Lutie identifies J. W. Mimms Jr. as a “merchant in Hesper, Ky.” Lutie is the granddaughter of John Wilson Mimms Sr. and Mary James-Mimms. 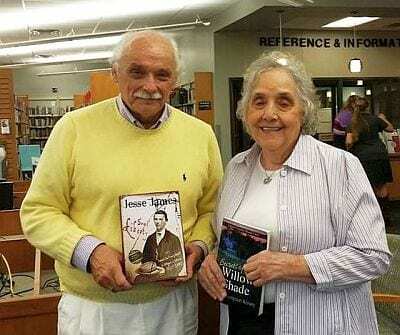 Joan Beamis is a great-granddaughter of Drury Woodson James, an uncle of Frank and Jesse James.. Beamis also is the author of Background of a Bandit, the first genealogy of the Jesse James family by the Kentucky Historical Society. 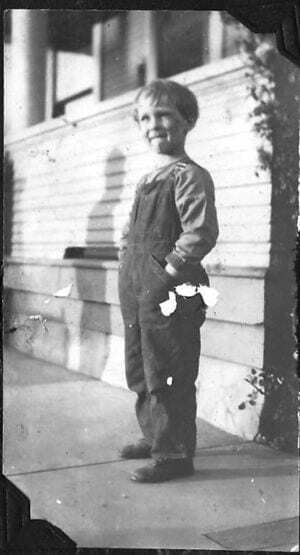 In his original query to Stray Leaves about his daguerreotype, Leonard Hall attested to the following provenance. In this circumstance, an authenticity rests in the eye of the beholder. Rear interior of case manufactured by Littlefield, Parsons, & Co. 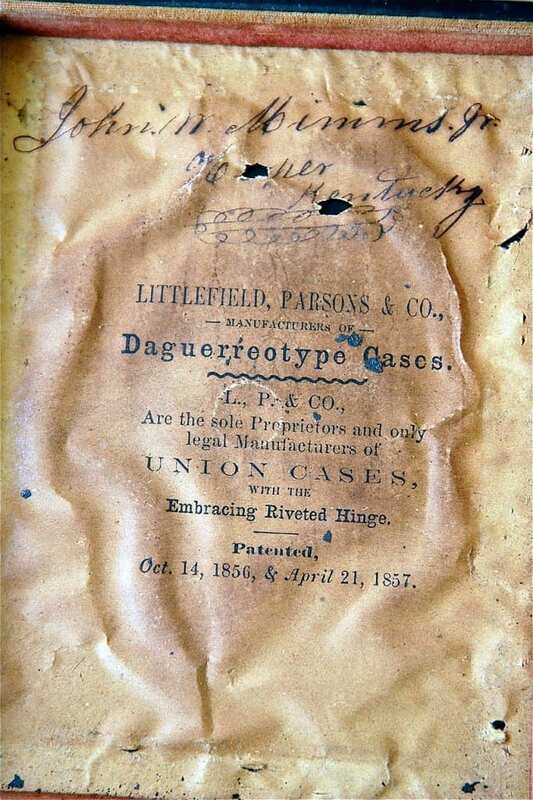 Regarding the case, it is a widely and well-known fact that Littlefield, Parsons, & Co. made photographic casings of this type in a variety of sizes, covers, similar fabric and imprints. The company’s casings were available throughout the nation, both North and South. Similar cases are known to host photographic images of Civil War partisans from both sides. While it is assumed the identification of the company, paper, ink, and other related materials are authentic, only a formal scientific forensic analysis can ascertain definitively. The costs of such analysis well could exceed the cost of acquiring the image. 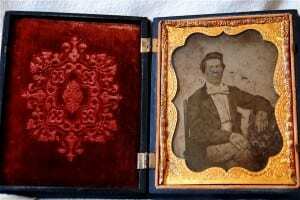 What is left to assess is a comparison between the daguerreotype and known Mimms family images. While the physical characteristics of the Mimms are not known to be catalogued, a catalogue of physical characteristics of the James does exist. 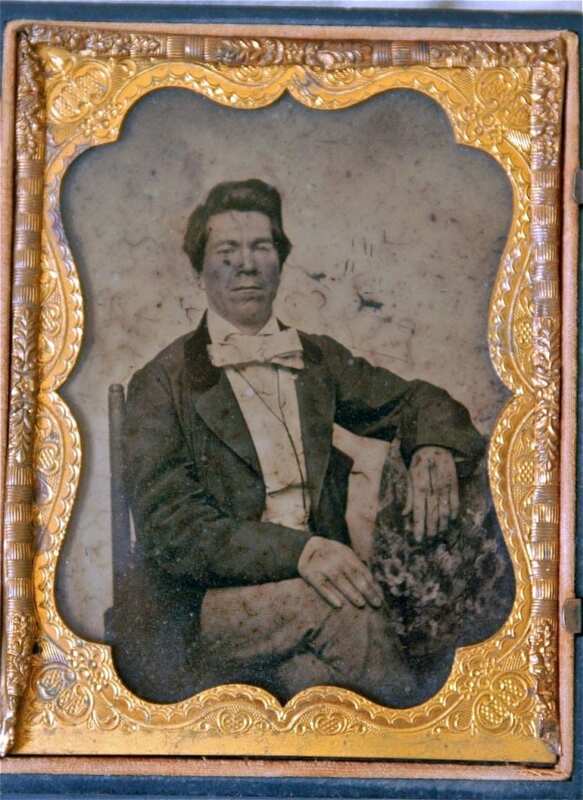 After all, the subject image of the daguerreotype and the following photographic images of related Mimms family members are all descendants of the James family, too. These Mimms display identifiable James family physical features. Multiple images exist of Zerelda Amanda “Zee” Mimms a younger sister of John W. Mimms Jr. Zee Mimms also is the wife of Jesse Woodson James. Sarah Ann, or Sallie Mimms, was born after Zee. 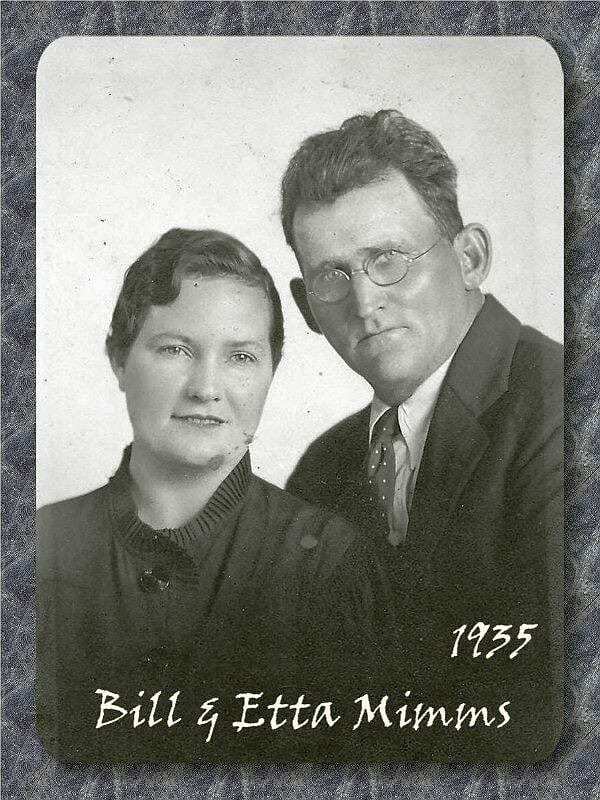 Drury Lilburn Mimms was born before Zee and Sallie and immediately following John W. Mimms Jr.
From generations that follow the Mimms siblings, Maj. Gen. Harold B. Gibson Jr. is the son of Ruth Ethel Waers-Gibson who inherited the Mimms Bible. Lutie Mimms, whose full name is Lucille Ethel Mimms-Gray, is a daughter of the eldest and firstborn of the Mimms siblings, Robert William Mimms. Mimms descendants Maj. Gen. Haorld B. Gibson Jr., Lucille Ehtyl “Lutie” Mimms, and the image subject John William Mimms, Jr. 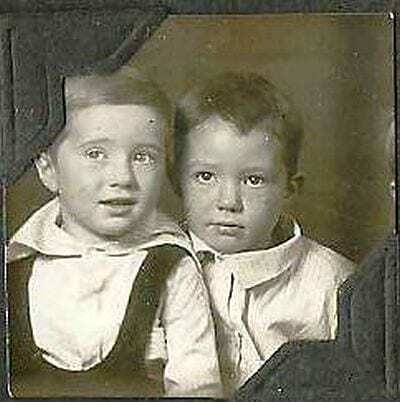 Does the daguerreotype of John W. Mimms Jr. resemble images of the Mimms siblings and family? Email me at ericjames@ericjames.org and express your family or social affiliation with the James family. I’ll be happy to refer you directly to Leonard Hall. Cowans gets the kinship wrong. However, citing the research of Eric F. James of Stray Leaves, Cowans concludes a sale of a legitimate Jesse James family artifact. HORSEFLY HOLLAR…The name may fit what you imagine to be Kentucky, but the people of the Hollar may alter your imagination. 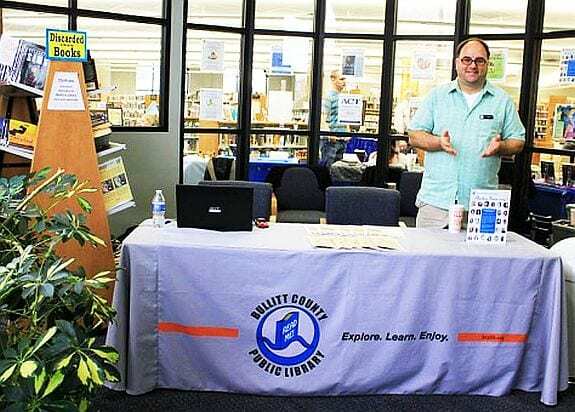 Librarian Allison White was hostess for my book signing at the Bullitt County Public Library in Shepherdsville, Kentucky. Allison hails from Horsefly. There, the family lore of her and her neighbors make for some very entertaining storytelling. But not the kind of Kentucky stories you might think. Like the story of the couple who moved to Horsefly from Chicago. They brought with them a city slickers’ fantasy of raising lamas in Kentucky. One of their lamas became real neighborly, coming up to Allison’s bedroom, tapping on her window, and waking her up, after snacking in her garden throughout the night and leaving it ruined. Or the American husband who brought home a Chinese wife. No one ever has heard one of them talk to the other in the other’s language. Each of them fights in their own native language – never more fiercely than when they both are standing over their vegetable garden in full public view. Then, there’s Jesse James. “We have a lot of people who come to the library,” Allison told me, as she sat down to order four of my books to stock her library’s bookshelves. “They’re very interested in Jesse James. A lot of them have stories about him and their own family lore.” From what Allison tells me, I think we’ll be looking at a presentation, or two, in the coming year. Wherever I speak, I always come away having learned something new. So I look forward to meeting more of her library’s patrons. Allison’s family has their own lore about Jesse, too. Her family home once hosted John Hunt Morgan, when Morgan came through, trying to retake Kentucky for the Confederacy. Among them, would have been David Hunt James, one of Jesse James’ distant cousins. Three of Morgan’s Raiders died at that time and are buried in Allison’s family burial ground. 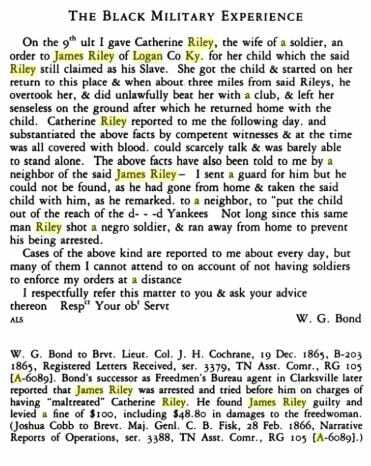 After the Russellville Bank robbery, Allison’s family claimed to have been visited by the James Gang. Her great-grandfather provisioned them with use of his barn, but disallowed their occupancy in the house, because of his three teenage daughters. The family fed the gang in the morning, and one of the gang laid a five dollar bill on the table when leaving. Left behind also was a pipe, which, according to Allison, the family believes may have belonged to one of the Younger brothers. The artifact remains in the family, but the initials on the pipe are as worn as the day when it was left behind. 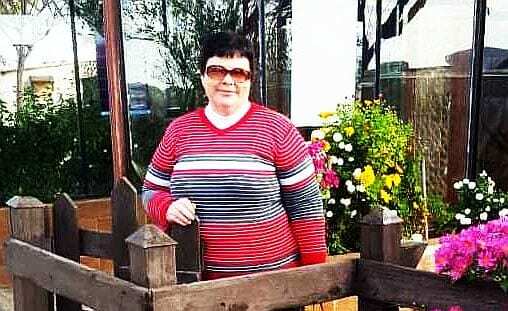 Jean Thompson Kinsey is a fiction writer from Logan County, Kentucky. She also was signing books with me, among the large group of authors at the Bullitt County Library Author Faire. Jean informed me that she writes a fictional account of Frank and Jesse James in her Logan County Trilogy, Secrets of Willow Shade. I met many Kentucky authors I didn’t know before. I was most impressed, however, by these two young authors. Author Rebekah McAuliffe reading & being interviewed. Rebekah McAuliffe, I learned, started reading at age two. Her mother told me, one day Rebekah was sitting in her high chair. She pulled the newspaper off the table and began to read it. “Then she started to talk about what she had read,” her mother said. “It was then we knew, Rebekah could read.” Now Rebekah is a published author. Rebecca presented her debut novel Gears of Golgotha. She’s already planning her next book. At her signing table, I viewed her book trailer. Rebekah also may have some filmmaking talent. She said, she was considering making book trailers for authors as a sideline. Leah Pugh read from an upcoming novel she’s writing. I was impressed enough to ask if she also was planning an audio book. Her story telling ability is extraordinary. And when read aloud, her words jump right off the page. But I soon learned Leah is not my discovery alone. Leah Pugh is under contract to write twenty books! Her initial mystery novel, The Diamond Caper, is doing well. Leah’s presently writing her third mystery novel, Houston, We Have a Problem. Look for Leah Pugh to become the next Agatha Christie. I’ll have more about the other authors, to follow later. Librarian, author interviewer,& co-host Patrick. He greeted me at the door by my full author name, that included my middle initial F.